Pinkerton doesn’t understand his family’s commands: When told to come, he jumps out the window, and when asked to fetch a pair of slippers, he chews them up. In obedience school, rather than learning how to follow directions, he inspires his canine classmates to imitate his antics—and ends up getting himself expelled. It is only when a burglar breaks into the house that Pinkerton’s confusion is put to good use, and to the delight of his family, his blunders save the day. The impossibly foolish but irresistibly sweet Pinkerton has been a picture book favorite for thirty-five years. Now Steven Kellogg has created this exuberant updated version, with an edited text and completely new illustrations, so that future generations of children can enjoy the Great Dane’s timeless silliness. 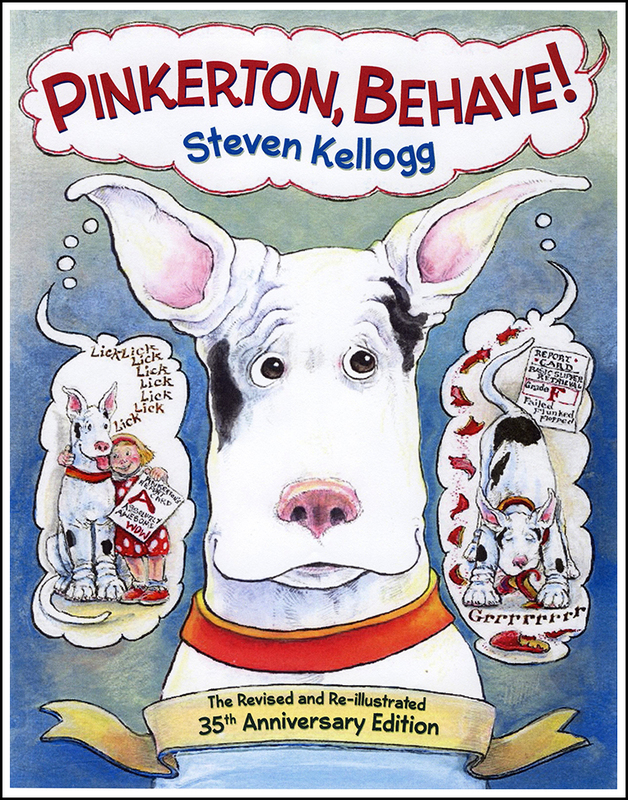 To learn why Steven Kellogg Reworked a 'Pinkerton' Scene in Response to Sandy Hook Click Here or on the Publishers Weekly logo below. 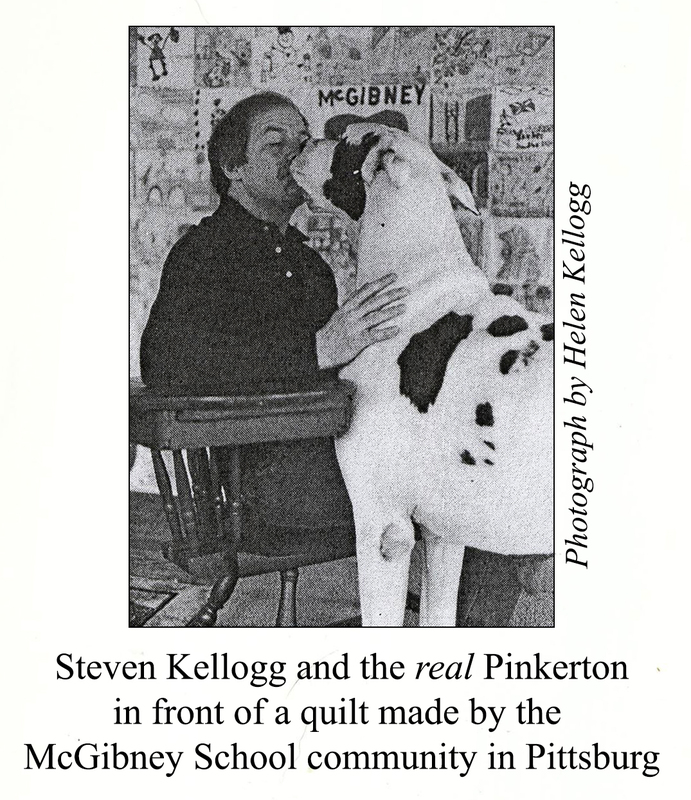 In this thirty-fifth anniversary edition of Pinkerton, Behave! the oversized firearm that was originally included as part of the burglar's stereotyped caricature has been reconsidered and eliminated. This revision in the text and illustrations provided the opportunity to make other adjustments designed to heighten the celebration of the irrepressible Great Dane puppy who brought merriment and chaos into our family during the decade following his arrival in 1976.